Superdiversity: Theory, Method and Practice. Rethinking society in an era of change. 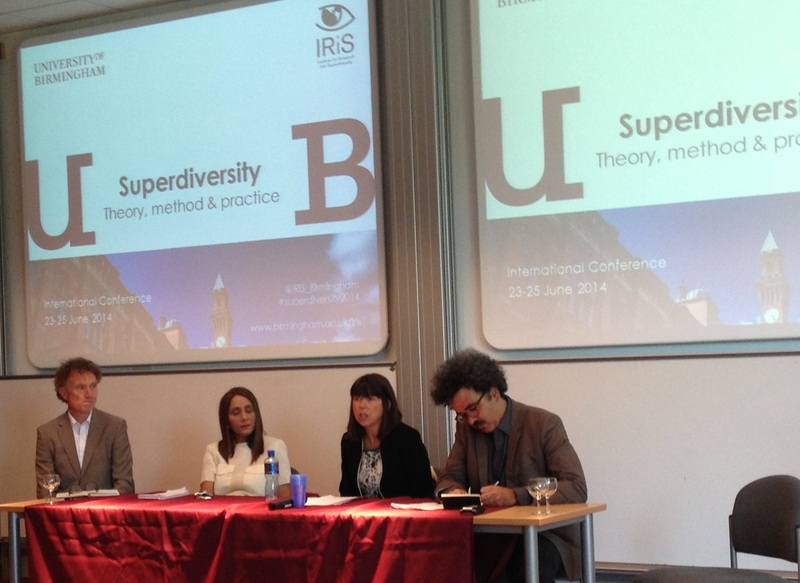 The Conference on ‘Superdiversity: Theory, method and practice. 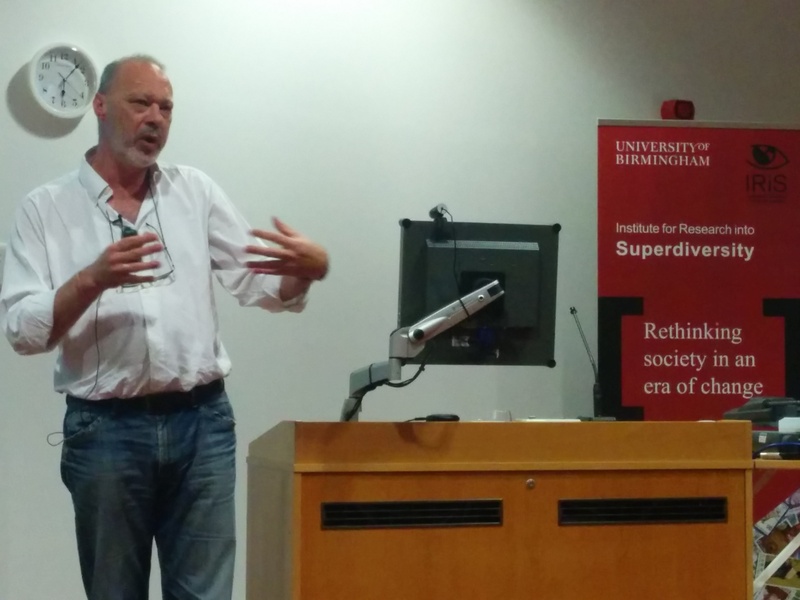 Rethinking society in an era of change’ took place at the University of Birmingham from the 23rd to the 25th of June. 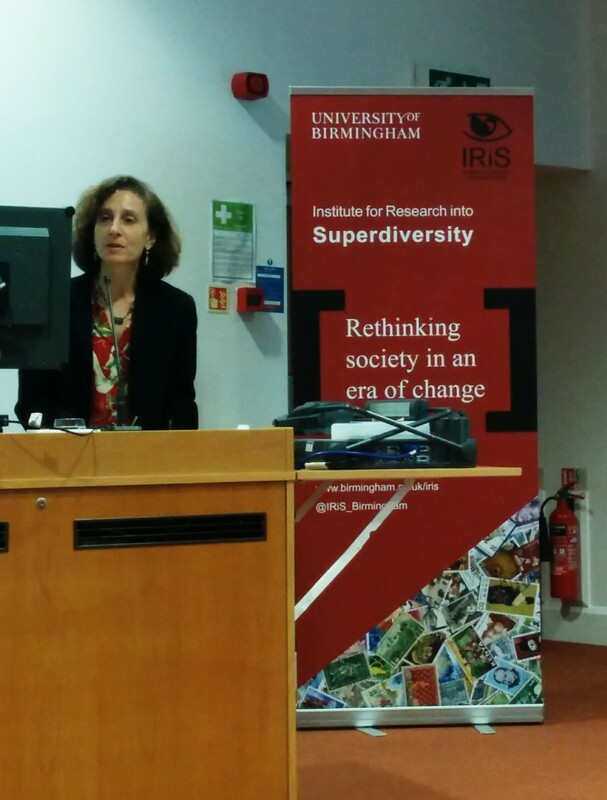 The event, organised and hosted by the Institute for Research into Superdiversity (IRiS), was the first international multi-disciplinary conference on superdiversity. 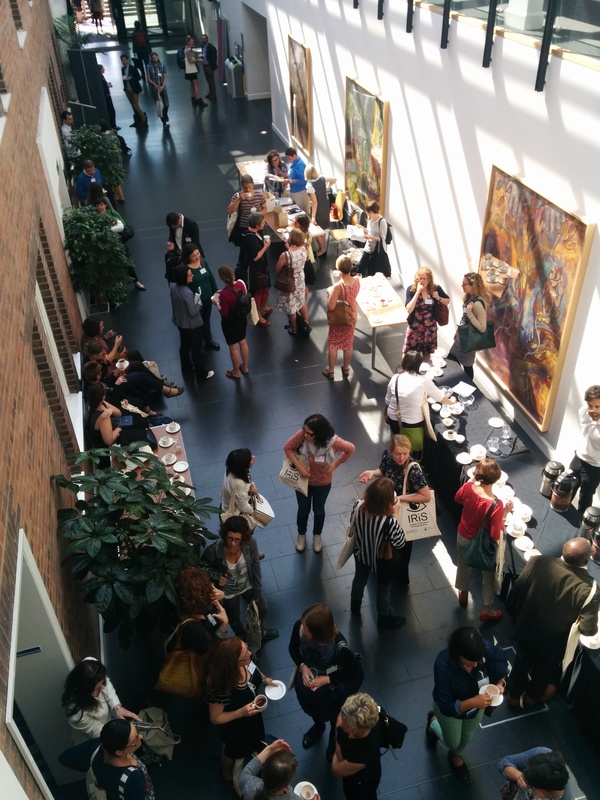 It brought together more than 120 academics, policy makers and practitioners from different specialisms, theoretical perspectives and disciplinary backgrounds. The overarching aim of the conference was to explore the opportunities and challenges provided by pioneering research that seeks to explain our complex social realities in new ways. 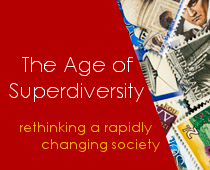 Although the term superdiversity could be considered relatively new, it has rapidly evolved and gained recognition in a variety of academic disciplines and policy arenas, spanning widespread geographical and social contexts. The conference was therefore a timely and much anticipated event to take stock of the different uses of the term to date, debate meanings, examine underlying assumptions and define new directions. The inadequacy of the ‘ethnic lens’ for describing current social realities was a fundamental perspective held by all participants. Professor James Nazroo (University of Manchester) powerfully illustrated the pitfalls of such an approach questioning ‘common sense’ census categories for charting inequalities of poor health and provoking challenges to labelling processes. Similarly Professor Jan Blommaert (Tilburg University) illustrated how ethnicity is not a useful marker of social position. Rather, he argued, a sociolinguistic index of social stratification gauged through the relationships between old versus new languages and old versus new communities provide key insights into ownership, legitimate usage and power. All papers and panels highlighted the limitations of previous approaches that focused on ethnicity as the key marker of social difference and argued for an approach more attentive to intersectionality and multiple affiliations. A further common perspective held by both academics, practitioners and policy makers was that diversity and heterogeneity are not new. However, despite this acknowledgement, it was agreed that there are evidently new dynamics at play which are complicating social realities in multifaceted ways. First, as observed by Professor Jenny Phillimore (director of IRiS, University of Birmingham), is the role of super-mobility within the superdiversity framework. Second, the impact of new technologies is also clearly altering our social realities in novel ways. Third, the velocity or pace of change has increased through processes of globalisation. This was clearly illustrated by Blommaert’s detailed ethnography of moving through the streets of Antwerp and experiencing rapid identity changes through attending to public signs. He argued the value of superdiversity is that it brings increased sensitivity to nano-phenomena in complex configurations helping us to try to explain these new realities. Using examples taken from these streets over a period of nearly a decade, Blommaert illustrated his focus on plurality. He emphasised that there is not one history or narrative but reading a neighbourhood requires investigation in many different and interconnected histories and narratives. Superdiversity, he argued, captures this range and breadth of experience. This focus on complexity was captured by all the presentations and signalled an end to thinking in terms of binaries. Phillimore brought this to fore and argued that superdiversity marks a defining shift away from mono-dimensional and bi-dimensional models. She used the example of European integration policies to illustrate the limitations of the approach that advocates for migrants’ sole responsibility to adapt their culture and values to that of the so-called dominant or majority populations. These common themes highlight the value of superdiversity to update former paradigms, question boundaries and focus on social interactions in new ways. However to achieve this successfully, superdiversity calls for innovative methodologies. The need to find new ways to operationalise research in superdiverse contexts was a persistent thread that ran through panels, plenaries and discussions. Some participants drew attention to the methodological opportunities but also constraints within their varied positions and understandings of superdiversity. For example, questions regarding how to combine qualitative and quantitative methods; language usage; gaining access to private spaces; and issues surrounding making the meaningful contacts that have previously defined ethnographic analysis were addressed by some papers. An additional question attended to the role of power, marginality and exclusion within superdiversity research. This was brought to the fore by the policy and practitioner round table which voiced concern regarding superdiversity’s perceived capacity (side effect) to mask inequality and, as a result, deepening exclusions (see Sigona). Several speakers critiqued this point of view including Professor Gill Valentine (University of Sheffield) who overviewed the importance of remaining focused on flows of ideas based on prejudice through different spaces. Nazroo also addressed the role of power when he attended to the many difficulties surrounding labelling and census categories. He argued that superdiversity can help to answer questions about power and privilege and the complex ways that these manifest in contemporary social processes. Superdiversity was defined in many papers as a social context however others were attentive to the emerging idea that global processes are producing superdiverse subjects. Blommeart shifted the conversation from production of superdiverse contexts to how individuals, through becoming acquainted with rapid shifts in structure and meaning, dense diversity, hybridity, polycentricity and layering are becoming superdiverse subjects. He defined this by stating that such individuals have become able to rapidly redefine their roles and functions in different social contexts. Professor Peggy Levitt also alluded to this idea in her keynote address by focusing on the role of museums and the state’s potential to produce certain kinds of subjects that may or may not have the capabilities to take advantage of the opportunities provided by superdiversity. The wide and divergent uses of superdiversity have been well documented and were represented at the conference. These different perspectives and concerns reflect a degree of uncertainty regarding the correct definition and use of the term. It became clear through debates on this issue that terminology needs to be flexible in order to avoid the risk of reification. However, on the other hand, the term should not become too general and lose all meaning. Therefore a consensus seemed to emerge that deeper theoretical and methodological clarification was needed to provoke real change in understanding and thinking about societal transformations based on new patterns within global dynamics. The urgent need for a clearer understanding of these patterns was highlighted by panels and discussions which brought the implications of global changes to the fore and identified practical challenges. These included the concrete legal complexities provoked by superdiverse realities and the role of globalisation, the internet and reduced price competition as the drivers behind worldwide precarious working conditions and widening income inequality. It emerged that research on the international, national and local implications is keenly sought to assist policy makers at all levels to manage the changing needs of complex and rapidly changing populations. Translating this research into practical guidance is an area that requires further development. By the end of the conference, the participants discovered a shared field of enquiry across disciplinary and geographical spheres and common methodological challenges and theoretical concerns. Few doubt the need for the development of theory to address the increasing complexity witnessed in contemporary societies globally. Superdiversity responds to this and offers a challenge for researchers to be interdisciplinary, to create new methodologies, to develop theories and to find new ways to disseminate knowledge. Despite uncertainties for some regarding the exact definition and use of the term, the conference benefited from allowing the wide variety and complexity of the material to feed into discussions in interesting and illuminating ways. The debate at the conference highlighted that superdiversity reflects a need to be bold with research methodologies and robust theoretical developments in order to gain a firmer grasp of our complex and rapidly shifting world.